Fiji Holidays - When are they celebrated? When are the public Fiji holidays? Find out here. It's a chance to check out how Fijians celebrate, giving you a wonderful real cultural insight. Fiji school holidays are thrown in here for good measure. Fijians know how to relax, that's for sure. If you have being to Fiji already, you would have seen how they take everything in stride. They are never in a rush (except on the rugby pitch) and they seem very happy and content with their way of life. Indeed, it helps to be living in paradise. So, when it comes to holidays and festivals, especially in the villages, festivities can last a week or, as in the case of New Year's, it can even last for the whole month of January! 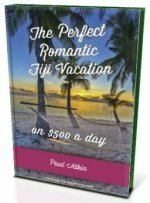 It might be worthwhile taking into account holiday times when planning for your Fiji vacation as noted in the All About Fiji page. * Ratu Sir Lala Sukuna is considered Fijian's greatest statesman. # As of March 18th, 2010, it was announced by Commodore Voreqe Bainimarama that both of these would no longer be treated as public holidays. Public holidays reflect Fiji's cultural diversity as each major religion in Fiji has a public holiday dedicated to it. They are, however, happily celebrated by everyone. If a public holiday falls on a weekend, it is usually moved to the preceding Friday or the upcoming Monday. * For a list of Festivals and events, go to the Events & Festivals in Fiji page. early December to late January - this is the big break period for schools. As you have probably noticed, these are similar to the school holiday periods for Australian and New Zealand schools.